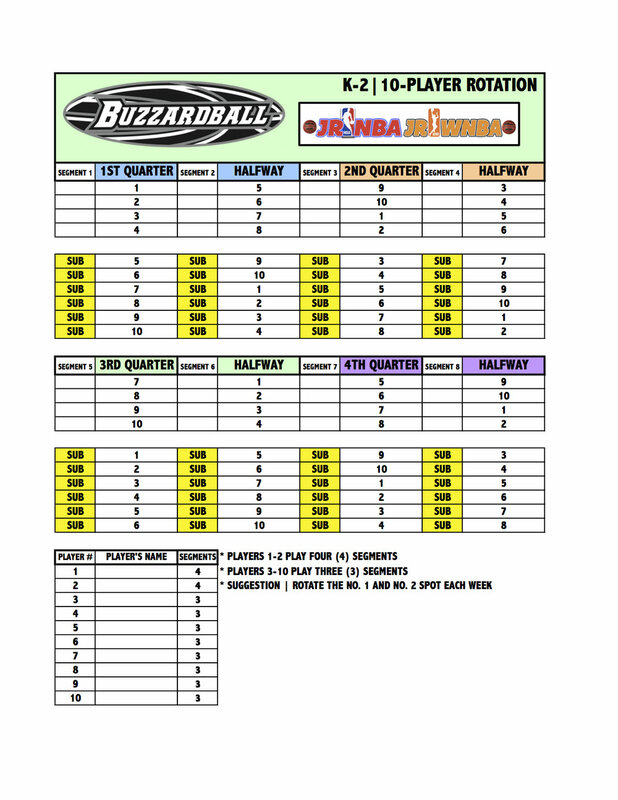 Buzzardball is an ALL-PLAY league for those that participate. 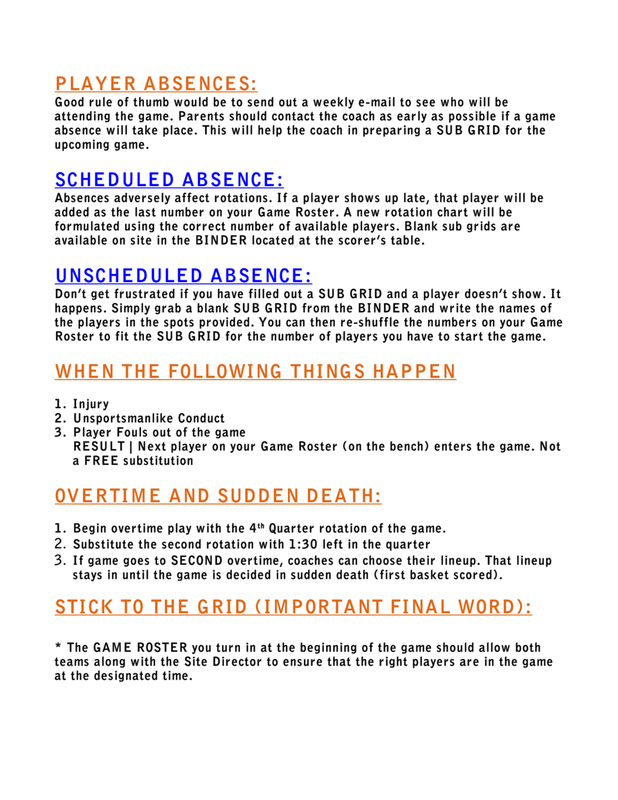 All coaches are required to use the SUB GRIDS below. 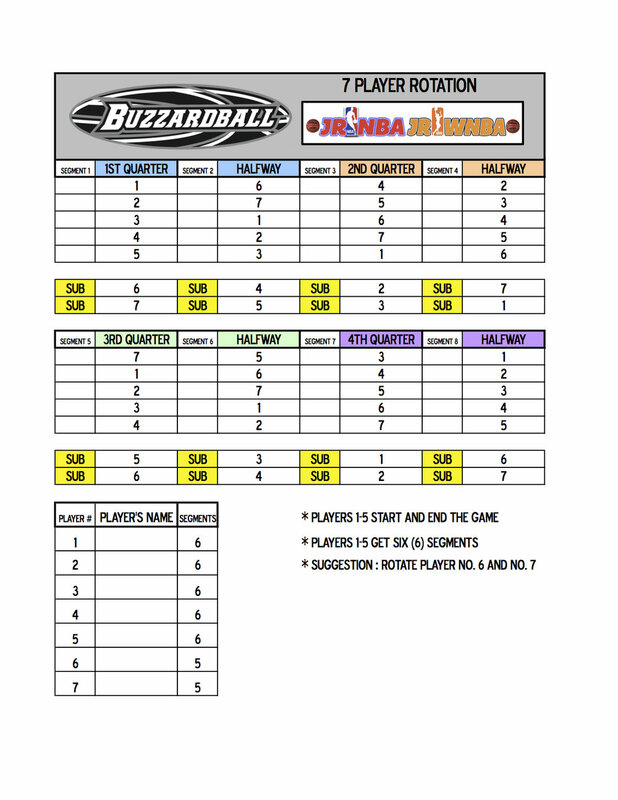 In the cases of 8 and 10-player teams, all players play the same amount of time. 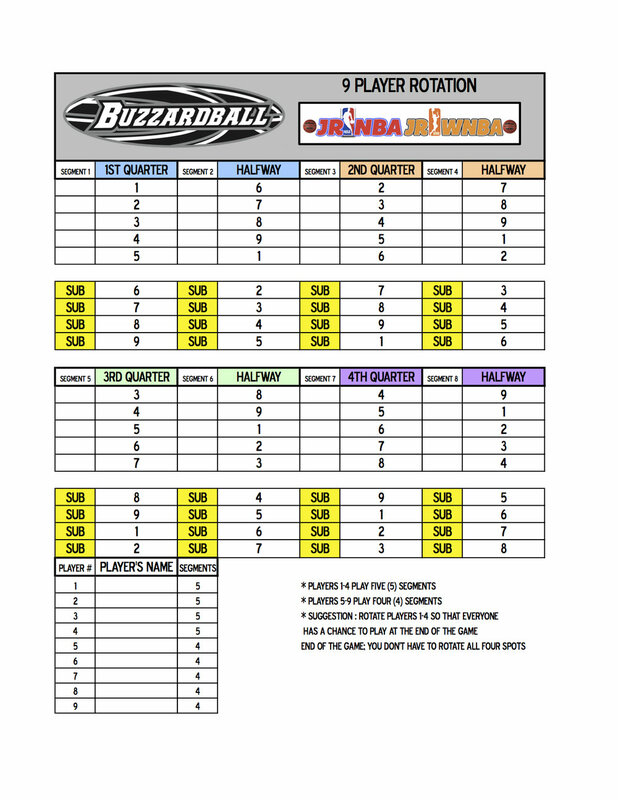 In the case of 7, 9, 11, and 12-player teams, there will be individuals who will play one extra segment in the game.